Tatsuhiko Shiratori works as a scout, recruiting girls to work in the adult entertainment business. He movies to Yokohama from Shinjuku, Tokyo. 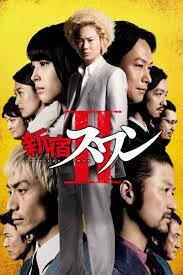 He comes into conflict with Masaki Taki who is the CEO of a scout company.